Popular in European herbology and often used in herbal teas, hawthorn berries nourish heart health and the circulatory system. 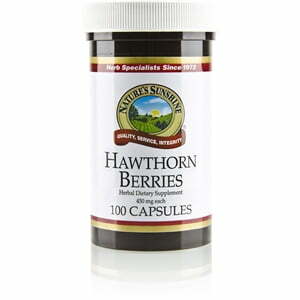 Numerous studies have shown the profound benefits of hawthorn berries. Hawthorn berry extract can be taken in either capsule or liquid extract form and is quickly absorbed by the body to achieve maximum benefit. 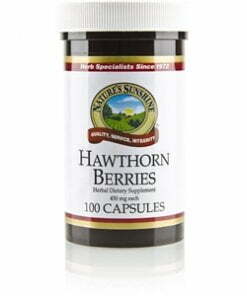 Nature’s Sunshine Hawthorne Berries comes in 450 mg capsules.